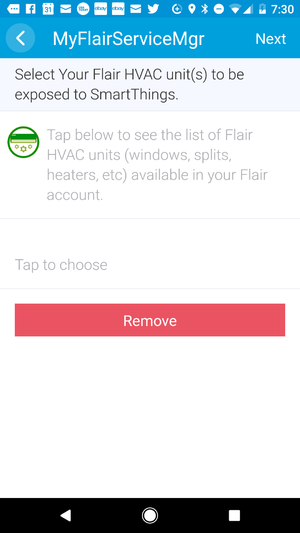 MyFlairServiceMgr: the smartapp is the Service Manager for all Flair Devices (Puck, Vent, HvacUnit, thermostat): it instantiates the Flair device(s) and polls them on a regular basis"
Multiple devices can be selected to be exposed to SmartThings. 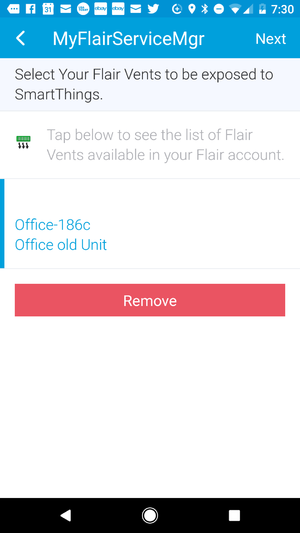 Notify you if there is any issue with the ST/Flair connection (optional). 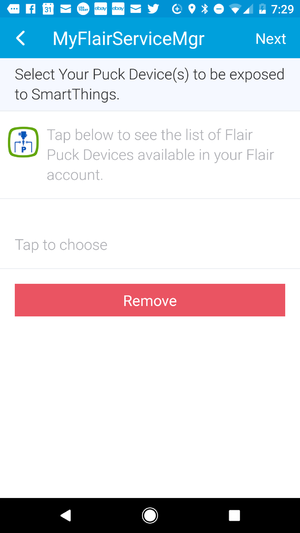 Can send summary reports via Ask Alexa and/or nofications about your Flair devices' usage (weekly, daily). 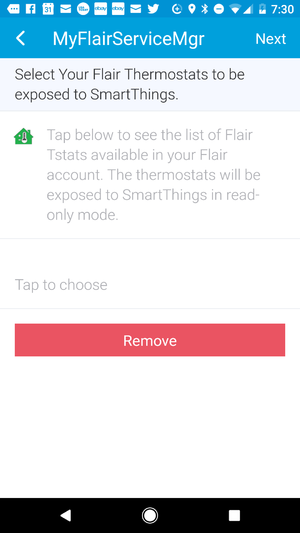 Use of the SmartThings classic mobile app for instantiation of the custom devices (only the basic attributes will display within the new Samsung Connect mobile app as ST is working on the required migration steps). 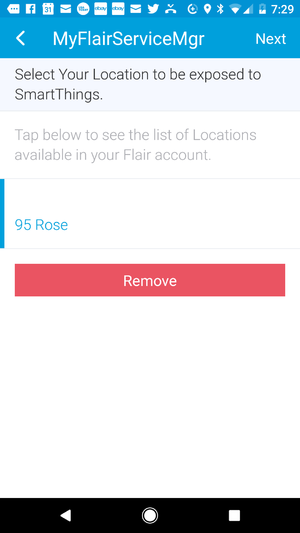 Under the ST classic mobile app, click on the 3-horizontal lines- "hamburger"- menu in the upper left corner, and then the "gear'" icon to review your location and save it. 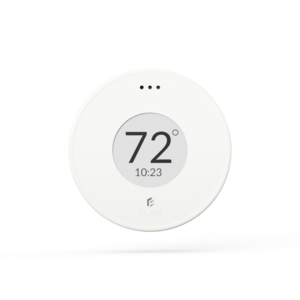 You can refer to the SmartThings' documentation for more details. 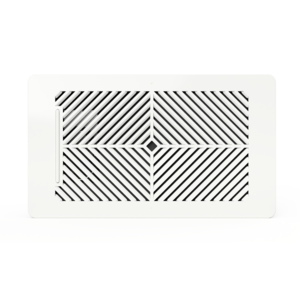 Point your browser to you SmartThings IDE for your country (i.e. 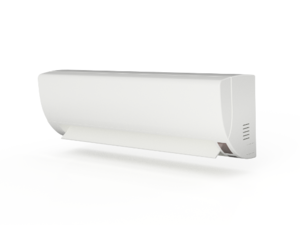 http://ide.smartthings.com or whatever your shard is, refer to the prerequisites at the readme) and Log In. 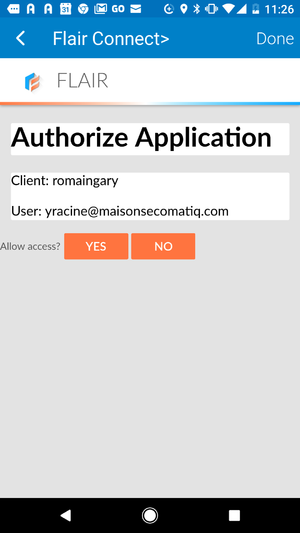 To enable OAuth, first find and click the App Settings button in the upper right corner of the page. 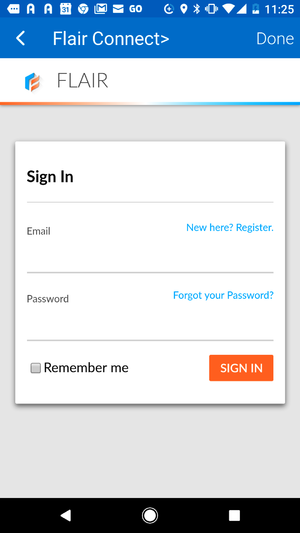 From here, find the OAuth section toward the bottom of the page. N.B. To create a DTH (Device Type Handler), it's basically the same steps above, but you need to click on My Device Handlers in the upper menu of the IDE, copy and paste the code, hit the create button and after, save & publish. 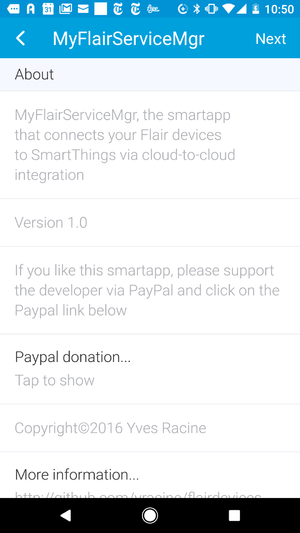 For the initial setup, under the ST Classic mobile app, click on the Marketspace item in the bottom menu, and then, on the smartapps link and finally, MyApps (last item in the list). For any subsequent execution, under the ST Classic mobile app, click on automations>smartapps in the bottom menu. The list of installed smartapps will then appear. Most of the time (unless specified otherwise), you just need to copy and paste the smartapp's code from the zip file. https://graph.api.smartthings.com/ide/apps (or whatever your shard is). 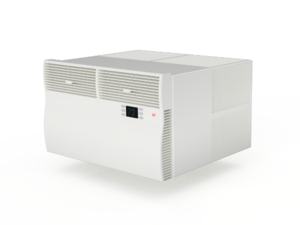 The same principle applies for the DTHs (Device Type Handlers). 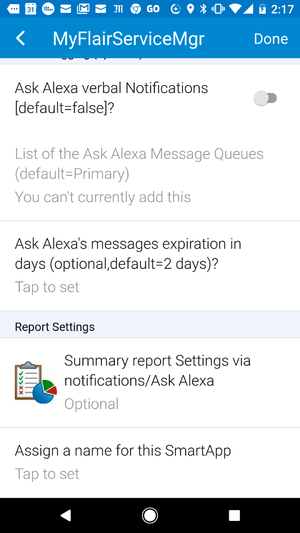 You'd need to execute the MyFlairServiceMgr smartapp under Automation/Smartapps in the ST mobile app by doing "Next" till "Done" to subscribe to the new AskAlexaMQHandler. 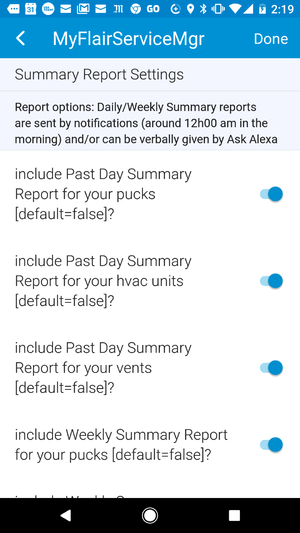 The new handler will then be able to process any Queue refresh value from Ask Alexa. 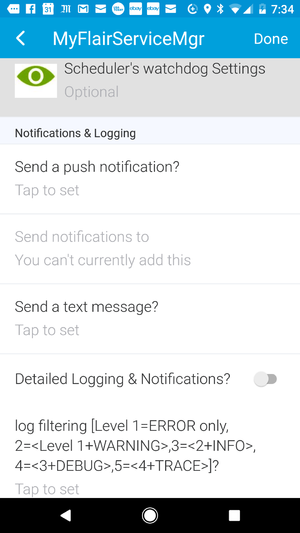 No custom DTHs can be created under the new Samsung app for the moment as indicated in the prerequisites. 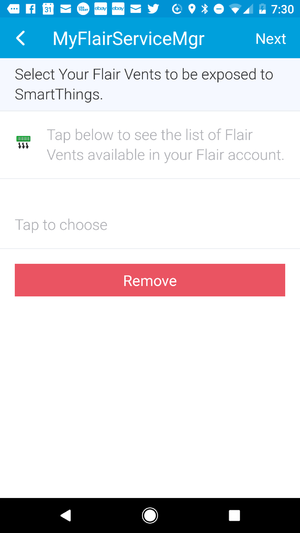 You'd need to use the ST classic app to execute MyFlairServiceMgr in order to initially create the Flair devices. After creating the devices, follow the steps indicated in the installation pdf file included in the zip to force a refresh of the cache in order to make them appear correctly in the new Samsung app. 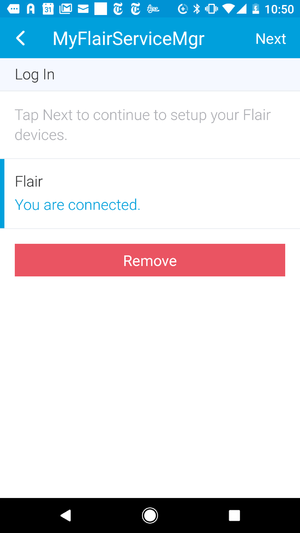 If some of your Flair devices are disconnected under the new Samsung app, you may have created many of the same devices by executing MyFlairServiceMgr many times... Under the new Samsung mobile app, you then need to clean them up by pressing the "edit" button next to your location and removing them. 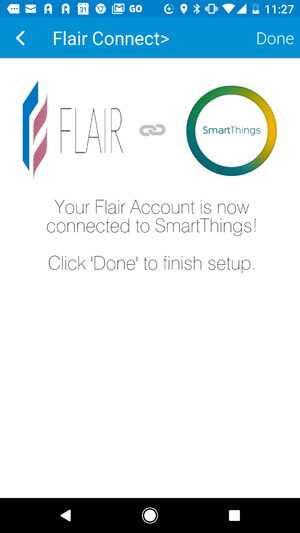 a) Like any SmartThings device, first you'd need to unselect My Flair device(s) from all smartapps and/or routines (ex. 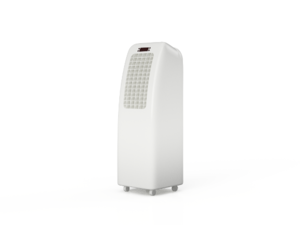 Amazon echo). or click on the smartapps tab on the device itself under the ST classic mobile app. And note all smartapps under the list "In Use By". 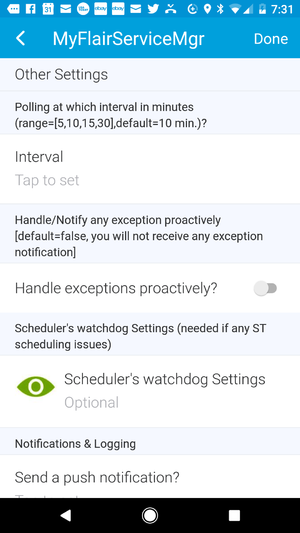 c) Then, you'd need to unselect the device(s) from the smartapps or routines using the ST classic mobile app. 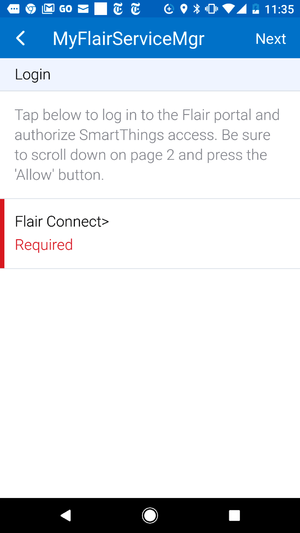 d) Finally, you can remove the MyFlairServiceMgr smartapp by pressing on the corresponding 'button' inside it. If you have any delete issues, you can also delete the devices directly from the ST or Samsung mobile by clicking on the device, pressing the 'gear button (upper right), and then remove at the bottom. This page was last edited on 22 February 2019, at 16:36.